Home F1 Races Bahrain Grand Prix F2 Watch: Who caught the eye in Bahrain? Bahrain set the scene for Formula 2’s first action for 2019, and there were twists and turns wherever you looked. The Bahrain International Circuit has become known for ridiculously high tyre degradation when it comes to F2 races, and this year many of the drivers used that in their favour – looking to repeat that magic drive from Charles Leclerc in 2017 where he pitted in the sprint race and went from last to winner. And lightning would strike twice – this time Luca Ghiotto with the masterclass. But who really caught the eye of Formula 1’s team bosses in the season opener? We believe these five have done a pretty good job. 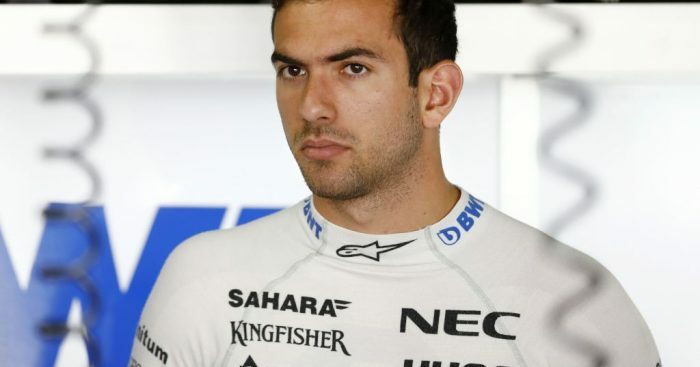 This is the Italian driver’s fourth season in the category, and while he has no ties to Formula 1 right now, that could change if he keeps this form up. After a clutch problem saw him sink from pole at the start of the feature race, he fought back valiantly, passing the likes of Jack Aitken, Nobuharu Matsushita, Nyck De Vries and Louis Deletraz. He then put the icing on the cake with a sublime double pass in his second stint, re-taking De Vries and Sergio Sette Camara in the same turn 1 move – wow. P2 would be his final reward. If the paddock hadn’t already seen his overtaking prowess, the sprint race would act as further proof – starting from P7 he would be race leader by lap 4 but, along with other big names, took the risk of pitting to get the pace provided by a new set of softs. Ghiotto pulled off the Leclerc tactics to perfection, moving through the grid like a hot knife through butter to come home P1. Two stunning drives, and surely ones which will have resonated with many midfield teams in Formula 1 – this boy can overtake. It was a quiet feature race for the DAMS driver – simply because he dominated it. Taking the lead early – he would sail away from the pack, not bad for a driver who is still probably annoyed after missing out on testing the Williams in Barcelona – their late arrival to the Circuit de Catalunya wiped out his scheduled time completely. Latifi would be right up there again in the chaotic sprint race, and with overtakes happening in any place imaginable, he did a quality job to keep his race clean and pick up another podium in P3. One of the most experienced heads in the F2 field – maybe another outfit other than Williams will take a punt on him? He looks a reliable points-getter in these early stages. The young Brazilian is in a direct fight with Nyck De Vries with both men part of the McLaren junior programme, and you have to say Camara did the better job in Bahrain. P3 in the feature race and P2 in the sprint, he stayed consistent and quick throughout the weekend – a difficult task with tyre deg and DRS proving as impactful as it did. He told his mechanics over the radio that “my engine is a piece of s***”, so job well done. Lando Norris is looking strong for McLaren in his rookie season, Camara could well be next. The reigning and last ever GP3 Champion has gone under the radar since his call-up, mainly due to Mick Schumacher’s arrival as F3 World Champion, but the Renault Academy driver put himself firmly back on said radar in Bahrain. The feature race was perfection from the Frenchman – a constant upward trend after qualifying outside the top ten. He would come home P4, some nine seconds clear of P5 man Deletraz. Competition for a Renault seat is high, with Aitken and Chinese prospect Guanyu Zhou also eyeing a step-up from the series into Formula 1. Hubert arguably put himself on pole for that mini battle. It may appear so far that we have just spoke about Deletraz as the man who was passed or off the pace all weekend, so let’s clear that up – he wasn’t. The Swiss driver was consistently the strongest Carlin driver, outperforming Matsushita in every session from practice to the sprint race. A pair of P5 finishes certainly did his stock no harm. Matsushita is the one with Formula 1 backing – Honda are desperate to get a Japanese driver on the grid again. But, if he is to impress, first some super-human performances will be needed, because right now he is in Deletraz’s shadow.